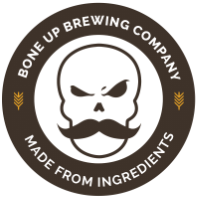 Stats: Best - Bone Up Brewing Co. Brewers' Notes: As you may well have noticed, we do love us a nice, easy-drinkin' pale ale around these parts and durn if it ain't been too long since we've had one on tap 'round here. Anyway, since it's been a while we figured we'd mix things up a bit and put a new spin on one of our favorite styles, so we lightened up the body a bit and threw a nice earthy punch in there with some of our fruitier hops (and as an added bonus, we used all locally-grown ingredients, with the exception of one hop that's from Michigan) and dang but it is tasty!